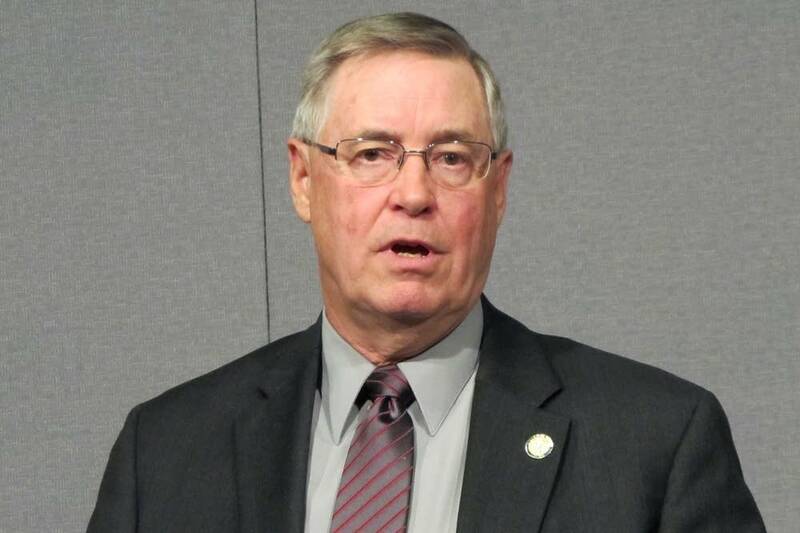 Updated: 5 p.m. | Posted: 2:55 p.m.
After a weekend of bipartisan negotiations, Sen. Scott Newman, R-Hutchinson, rolled out a new version of his bill to help fix the state's troubled vehicle licensing and registration system known as MNLARS. The Senate bill now allocates $9.65 million of the $10 million originally requested by Minnesota IT Services (MNIT) and the Department of Public Safety (DPS) from existing reserves. The previous version included $7.3 million. "We are going to appropriate more funding for DPS and MNIT, so that they can proceed with the MNLARS project, while at the same time provide legislative oversight on how that money is spent," Newman said. The Senate voted 47-20 Monday to pass the revised bill, but the Senate bill differs significantly from the House version. The oversight provisions in Newman's bill includes $350,000 for the Office of the Legislative Auditor to monitor progress on the MNLARS system and make quarterly reports. A new legislative steering committee will also keep tabs on the project and have the authority to decide whether to hold back any of its funding. "We can hopefully address the myriad of problems that are infested within the MNLARS system," he said. • MNLARS: What is it? MNLARS has been a major headache since its launch last summer, causing numerous delays and errors in daily transactions. Deputy registrars and auto dealers are among those who've complained the loudest about the system's shortcomings. The Senate bill sets several performance measures for MNLARS, including how well the state agencies respond to customer complaints. But Sen. Susan Kent, DFL-Woodbury, questioned whether the bill provides the agencies enough flexibility to hire extra staff to field those complaints. "We've had so much testimony from people who have been frustrated by the lack of a return phone call or the lack of a return email. At a very minimum, we need to be responsive to the people of Minnesota," Kent said. The issue is headed to a conference committee, after the Minnesota House passed a competing version of the legislation by a vote of 98-27. The House bill provides $10 million and requires DFL Gov. Mark Dayton's administration to cut an equal amount of spending from executive branch budgets. Dayton opposes the House approach. Rep. Paul Torkelson, R-Hanska, the chair of the House transportation committee, sounded optimistic about resolving the differences. "The conference committee will take some time, but I can assure you that it will take as little time as possible. I've already started negotiating with Sen. Newman. I believe we can reach agreement very quickly," Torkelson said. The administration is still seeking additional funding this session for ongoing work on MNLARS. Dayton is proposing a $2 per transaction fee to help cover the costs. State agencies sent 30 day layoff notices to MNLARS contractors when lawmakers missed their original March 1 deadline for funding. With the final resolution of the bill still uncertain, Sen. Scott Dibble, DFL-Minneapolis, said he's concerned about MNLARS contractors leaving the project. "They're going to be gone," he said. "I mean, we've already got a couple of exit notices from a couple of the key, lead staff members. These are highly-employable, in-demand employees. They have skills that are very marketable. They can get well-paying jobs tomorrow."